The HD Light is the perfect handrail for guiding pedestrians and separating them from light traffic. Keep fingers and hands safe from machinery with the FE Fence. The FE fence is designed to protect pedestrians from machinery by creating a physical barrier between them and your equipment. The HT Tunnel wall fix is very similar to the free standing version but is connected to a wall on one side. It is the ideal solution for pedestrian walkways that run alongside a wall. The HT Tunnel free standing is designed to protect pedestrian walkways and is ideal for creating a safe passage between stacked goods. Peaceful cohabitation between man and vehicle requires strict rules and safe partitioning. Our FLEX IMPACT® handrails have been specifically designed to provide logical, clear separations between people and vehicles in busy, high-traffic areas. Our flexible handrails are available in three separate versions, from light to heavy, to help you with your safety needs. In addition, you also have the choice between handrails with 2 or 3 rails, in accordance with the situation that needs to be secured. 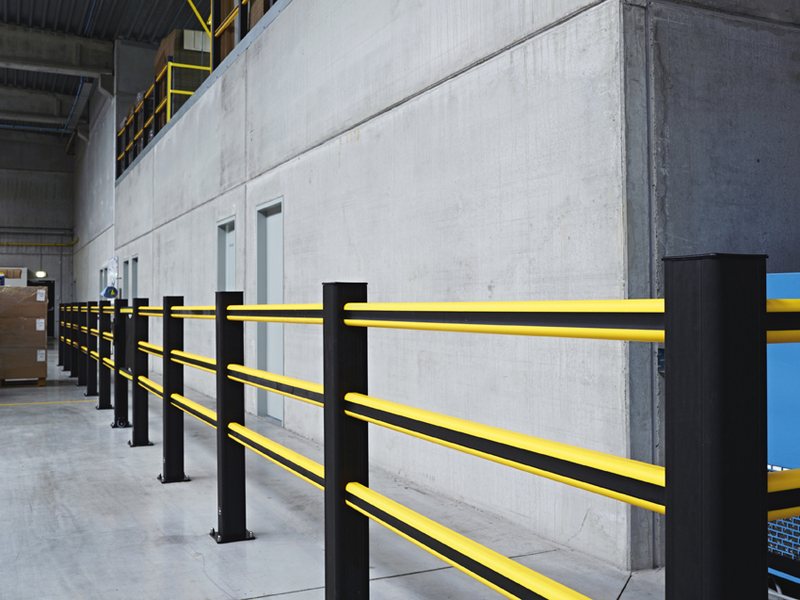 The FLEX IMPACT® handrails provide a multifunctional rail system for various applications, indoor or outdoor. There is no idea too wild: from balustrade to safety gate, we provide the appropriate flexible and impact-resistant safety gate for any situation. All of our handrails are made of high-quality, high-performance synthetics, which will make the properties of traditional natural resources seem like yesterday’s news.